•Matt D. Bixler, 27, of 136 W. Water St., Muncy; Hughesville police; Alleged criminal mischief, flight to avoid apprehension, resisting arrest, public drunkenness, and disorderly conduct for kicking a window out of a vehicle during a conflict and running away from police on April 6. He was held in lieu of $10,000. •Nicholas R. Bryant, 34, of North Carolina; city police; Allegedly driving while under the influence for falling asleep in his vehicle from alcohol consumption at the William and West Fourth streets intersection on April 6. He was released on $2,500 bail. •Anthony R. Gordner, 34, of Spook Hollow Road, Linden; Tiadaghton police; possession of an illicit substance and paraphernalia for allegedly being found with a small amount of marijuana and devices used to ingest it during a traffic stop at the 10,000 block of Route 220, on April 3. He was sent a court summons. 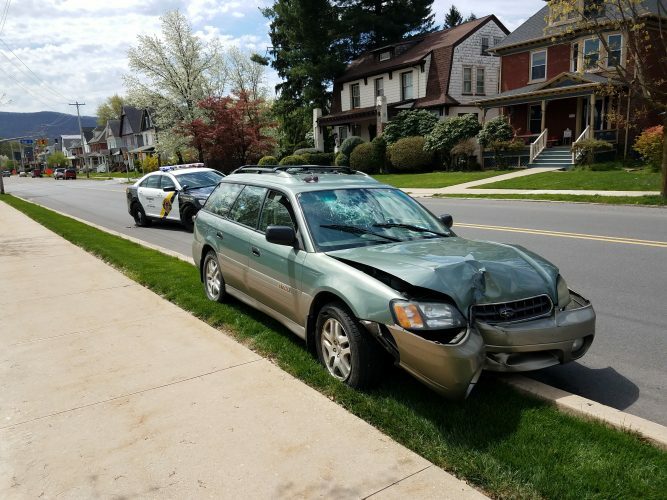 •Christina A. Walker, 42, of 1048 Stryker Road, Trout Run; Tiadaghton police; charges related to a hit-and-run for allegedly backing into another vehicle at the Uni-mart, at 101 Bridge St., on March 22 and not giving information. She was sent a court summons. •Kevin L. Griffith, 56, of 804 Jobs Run Road, Jersey Shore; Tiadaghton police; DUI and careless driving for being discovered to have allegedly ingested a compromising amount of alcohol during a traffic stop at the 1500 block of Route 287, on March 19. He was sent a court summons.